Street View tours are visible in your Google Search result, your listing on Google Maps, and your Google Business Profile. Works across all platforms and devices. Just like a YouTube video, you can embed and share your Street View tour. Use it to direct your customer to a specific feature or area of your facility with a simple, short link. Stand Out and Sell More! Google’s Research shows that those who view a listing with a virtual tour are twice as likely to be interested in visiting. Just get your space looking its best, and we’ll take it from there. A typically shoot takes less than an hour, and your virtual tour will be published online within a week. Once your tour is published online, it is hosted by Google, for free, for as long as you’re in business. If you remodel, a reshoot is quick and easy. We’re a shop with a lot of capabilities, and combining them saves you money. 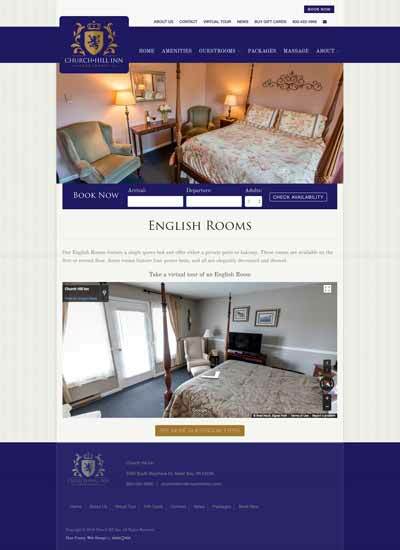 We can embed your tour on your existing website, or develop a new website for you. Learn more about package pricing here. Maximize your web presence with a beautiful, high-quality website with an integrated virtual tour of your business. Custom Tours allow you to give your customer a detailed tour of your facility, capabilities, and product offerings.